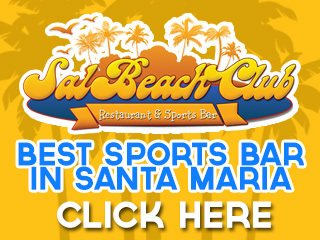 List of where to find restaurants and bars in Santa Maria, Sal Island. There are some restaurants and cafe's which are more popular than others, but it doesn't mean to say that some of the other local places to eat aren't worth a visit. There are a number of good restaurants, many of the local ones are owned by people who used to work in the hotels as chefs or assistant chefs. A few of the snack bars and restaurants in Santa Maria are run by Italians, Portuguese and British. There a number of hotels that can provide fixed price meals. These are some of the comments made by visitors to them. These are some of the venues that provide music, singing and dancing. More will also start offering various types of entertainment provided by locals and people who have moved to Cape Verde. A number of hotels also allow external guests to attend their evenings of entertainment.